With an ECU Upgrade, you wont know your own car when you pick it up! Triumph Rover Spares’ investment in the RovaCom Pro ECU reprogrammer and the Autologic diagnostic system gives us this astonishing ability to harness more power out of your TD5 and TDV6 powered Landrover while still returning the economy of approximately 10L per 100km that we have all come to love from our turbo diesel Landrovers. 0-100kph times will be transformed from a standard 29.5 sec to 17.2 sec. This is a MUST do for any Defender owner. All this and no loss in fuel economy and no alteration in the factory turbo boost setting. Complete reliability, peace of mind, performance and fuel economy. 0-100kph times will be slashed from a standard 23 seconds to a blistering 14 seconds. Comparible with many passenger cars, fuel economy will range between 9.5L and 11L per 100km. We can freight you your upgraded ECU on a changeover basis to anywhere in the world! This revolutionary new diagnostic system has been specifically design as to be nothing less than the absolute ultimate in diagnostic equipment available. The RovaCom Pro System is especially suitable for high duty usage by professional technicians in busy workshop environments where flexibility, speed, ease of use, dependability, efficiency, and ultimate functionality are paramount. 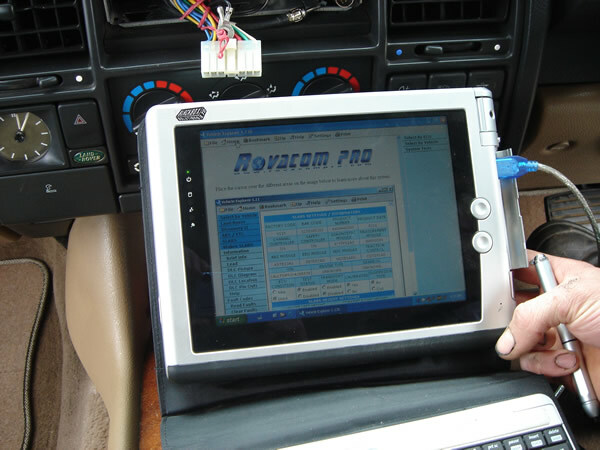 Using the very latest in wireless internet technologies, RovaCom Pro utilizes a specially designed wireless vehicle server to give near instant access to the vast amount of self diagnostic capabilities built into most modern vehicles from up to 300 meters away. This works in conjunction with our Vehicle Explorer software running on a small lightweight Tablet PC unit to provide a diagnostic system that is so advanced, not only in the technological arena, but also in the amazing depth of detail and capability it offers. 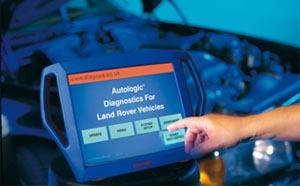 It far surpasses the levels of access that main dealers have with their Land Rover supplied Test Books. Offering solid, robust and reliable wireless communications, RovaCom Pro allows not only fault code reading and clearing but access to vast amounts of live, real-time sensor input data which can be captured in four different ways for later analysis, outputs which can be forced on or off for testing and simply incredible amount of configurable setting and information, which can be saved and reloaded as standard HTML internet documents. 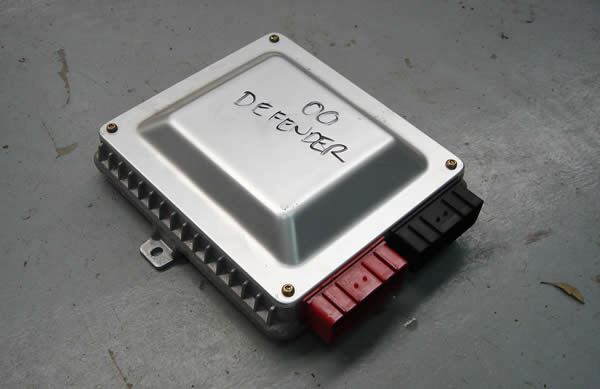 This allows new ECU coding, new of used ECU cloning, restoring ECU contents back to previous states and even repairing of ECU’s with corrupted of damaged memory contents. It can also read and write Flash engine management ECU contents.